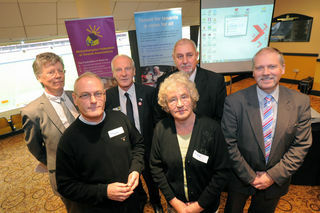 Our 'Working together 2' event was a follow up to our event last year. It was another opportunity for housing providers and tenants from across the City to come together to discuss the many challenges that face them in the present climate. Our thanks go to all those who attended - both tenants and officers. We were very pleased with the turn out - there were 10 housing providers represented either by their tenants, officers or by both. A particular thank you goes to our speakers - Michael Gelling the chair of TAROE (Tenants and Residents of England), Cllr Peter Bilson the deputy chair of the Council, Mark Perlic and Chris Hale from W'ton City Council, and Nick Crombie from Heantun HA, and to the workshop leaders. We will be providing feedback from the event shortly.